Wichita's Favorite hot dogs, serving up delicious quarter pound hot dogs all through the Wichita area. 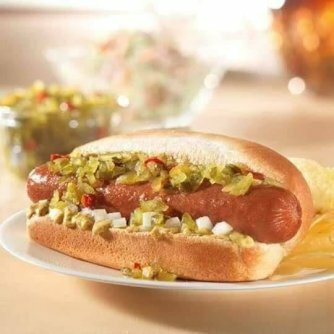 You’re sure to love our award-winning hot dogs. Hot-2-Trot serves up delicious gourmet quarter-pound hot dogs and hot links (Nathan's to be exact). Load your dog up with your choice of condiments. Can't wait to meet all of you hot dog lovers! Delicious hot dogs that will fill your hungry bellies without emptying your pockets! 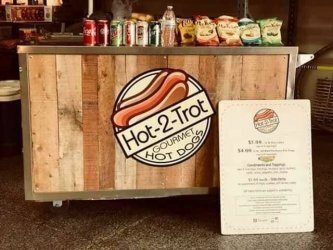 Want Hot-2-Trot at your next event? We cater to any event big or small, corporate events, business lunches, birthday, graduations, parties, block parties, fundraisers, school and church functions and more! Call us at 316-299-3584 or email us to book your event today!